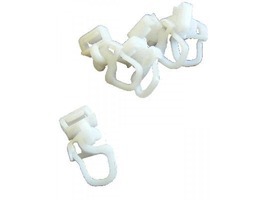 Clic Glider/Hook Pack 10 to suit Hinno curtain track. Simply press into track instead of threading. This Swiss manufactured curtain track system is often found on caravans and motorhomes. 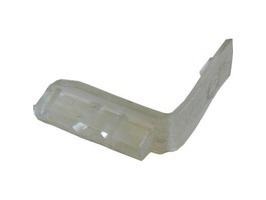 Clic End Stop curtain fittings for caravans in a pack 2 to suit Hinno curtain track, this Swiss manufactured curtain track system is often found on caravans and motorhomes.